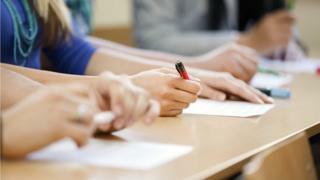 A national database of school governors in England is going to be created, says the government. Until now there has been no central register of who is serving as a school governor. The announcement is a response to the Trojan Horse claims about schools in Birmingham being taken over by groups with a hardline Muslim agenda. The Department for Education says it will deliver more "transparency" for parents and the wider community. Among the problems identified by the Trojan Horse inquiries was that governors had been interfering in the running of schools and had undermined head teachers. There were calls for more oversight of governors, but as the BBC revealed in February, the Department for Education did not have a register to check who was serving on governing bodies. This raised questions about a lack of knowledge about who was in these positions of influence and whether there were networks of individuals who had become governors in multiple schools. Russell Hobby, leader of the National Association of Head Teachers, had said that many parents would have been surprised to discover that the Department for Education did not keep a record of people who were school governors. A report last year said that there were about 350,000 governors, with a major role in overseeing £46bn of school spending. The Local Government Association called for more oversight to identify governors with "ill intentions". This will help "enable more effective oversight," says the Department for Education's response. But Emma Knights, chief executive of the National Governors' Association, said that the proposed "national database" will initially rely on information being published on the individual school websites, including whether they govern at another school. Ms Knights said there should have been more attention drawn to another change in the wake of the Trojan Horse reports, that "no-one should govern on more than two governing boards unless there are exceptional circumstances". "But in many places this has not yet been implemented and has not been well communicated," she said. "We are disappointed that the DfE did not take advantage of this report on Trojan Horse to highlight this guidance to schools which seeks to limit the undue influence of individuals."